I was lucky enough to get a tour of the wine cellar at the 21 Club in NYC this weekend. The whole thing is very ‘underground’ which you might expect from a restaurant that started out as a popular speakeasy in the 20s during Prohibition. The restaurant gets its name from the address at 21 West 52nd street. 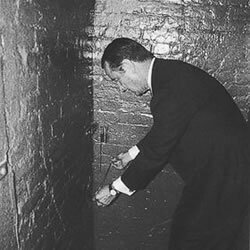 The “secret” wine cellar is actually located at 19 West 52nd street which helped to confuse investigators during Prohibition era liquor raids. Moreover, restaurant workers were able to truthfully tell inspectors that there was no booze on the premises at 21 West 52nd. Clever. Nowadays you can get to the wine cellar by walking through the kitchen and down the stairs led by a member of the 21 Club wine staff. The door is visible although it does blend in by looking like a regular old brick wall in the basement. The door was built to be imperceptible in the days of the dry movement and was concealed by a pantry of canned goods and hanging meats. Weighing in at 2 ½ tons, the door can only be opened using a meat skewer placed in one of the cracks in the cement. There are many cracks in the door which served to further confuse pesky federal agents. When you push the heavy door back you step into a wonderland of wine. 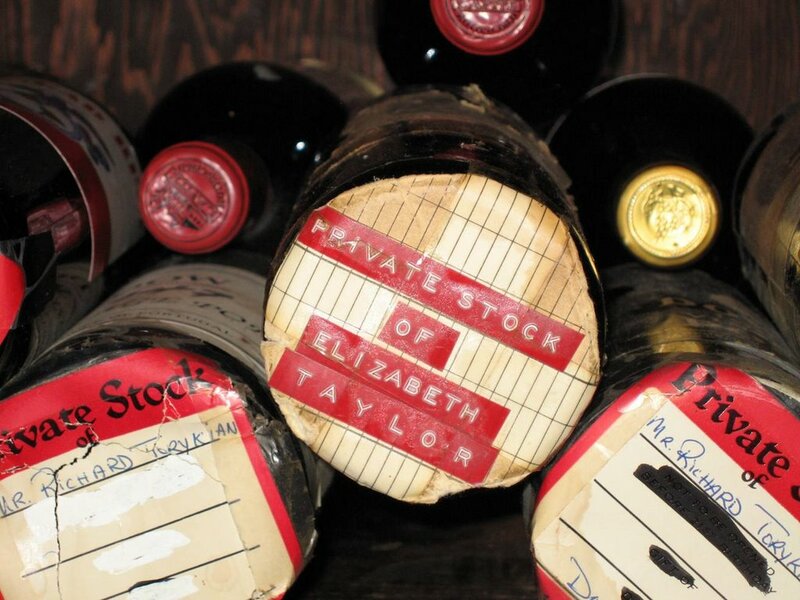 Although ‘21’ no longer accepts wine from personal cellars — they’ve run out of room housing their own impressive collection — they used to store private collections for their best customers. You can still see bottles with famous names attached. The first one I noticed was Elizabeth Taylor’s private stock which, as far as I could tell, has dwindled down to a single lonely bottle. Unfortunately I couldn’t get close enough to see what it was but considering Ms. Taylor doesn’t drink anymore, it makes perfect sense that she would want Vino Girl to have it, don’t you think? (Unfortunately, the wine director did not agree.) We also saw some of Richard Nixon’s bottles which he is no longer around to enjoy. Alongside the celebrity bottles there is plenty of Montrachet, Romanee Conti, Lafite and Latour, along with an empty Nebuchadnezzar (20 bottles) of Roederer Champagne that was popped when the cellar was first built. The cellar was remodeled in modern times to incorporate a private dining room seating 20, something you should experience if you have the chance. The restaurant is pricey as is the extensive wine list. If you don’t have the chance to eat in the cellar, stop in for a drink, order from the lounge menu and ask your server if they can give you a quick tour. If there is no one dining down there, they seem more than wiling to oblige. Enjoy!